How Much More Can Mexico Take? 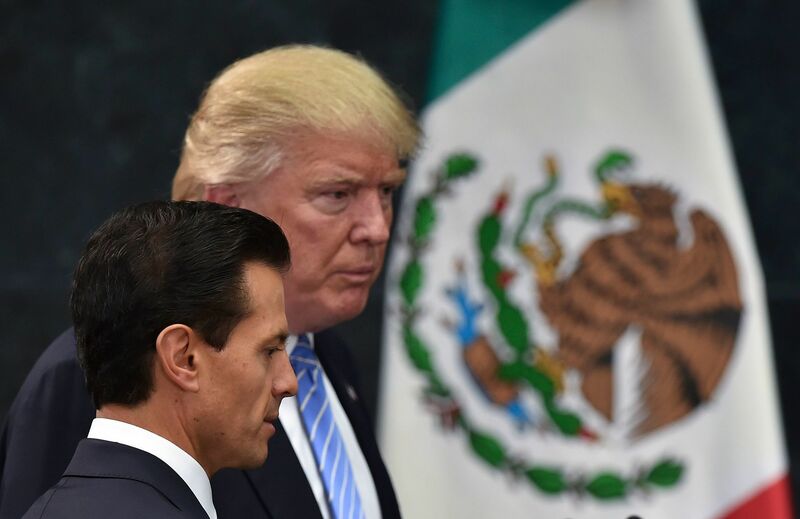 In its fourth episode, Altamar takes a closer look at our southern neighbor and how Trump’s America-first, Mexico-last rhetoric could change the North American continent as we know it. Along with featured guest Senator Gabriela Cuevas, president of the Mexican Senate’s Foreign Relations Committee, co-hosts Peter Schechter and Muni Jensen tackle a range of topics, from NAFTA renegotiations to the possibility of a physical wall to Mexico’s 2018 elections, and how interrelated all these issues really are. The mere possibility of constructing a wall between the two countries carries significance that goes far beyond a physical barrier. It’s a change in ideology, a step further away from the integration we’ve banked on for the last two decades. The hostility coming from the North is also sure to feature heavily in next year’s presidential elections. With Andrés Manuel López Obrador, a leftist firebrand – who has some strong words for Trump and the US – leading in the polls, our relationship could soon be on even thinner ice. While Peter and Muni disagree over the prospects of López Obrador winning – Peter says yes, while Muni’s not so sure – they agree that the damage has largely been done. If Trump wants to salvage what has been a mutually beneficial relationship for decades, he needs to, as Senator Cuevas suggests, stop tweeting and start listening.